As a reader of the NeuWrite San Diego blog, you know the brain is exceedingly complex and incredibly interesting. What you may not have thought about is how it gets to be that way. One of the biggest mysteries of the brain is how it forms all the right connections to produce a functioning human being. When the brain wires incorrectly, it can cause one of a number of debilitating neurodevelopmental disorders. Studying how the brain develops correctly could lead to treatments or ways to prevent these disorders. A challenge of this field is that it is difficult to study human brain development using current technology or animal models. In a paper published recently in the journal Nature, a group of neuroscientists in Austria reported progress toward a possible solution: They were able to induce human stem cells to grow into a structure that in many ways surprisingly resembles the human brain1. These cerebral organoids, as the researchers have termed them, measure only 4mm in diameter at the largest, which does not even begin to approach the size and complexity of a fully grown human brain. Despite their diminutive size these cerebral organoids are already helping us to better understand microcephaly, a developmental disorder that causes reduced brain size. However, in order to use cerebral organoids to study more complex developmental disorders like autism, it is likely that scientists will endeavor to grow bigger, more complex brains, which could bring up some important ethical questions. Going forward, cerebral organoids have the potential to further our understanding of human brain development and provide insights into neurodevelopmental disorders. Comparison of a cerebral organoid, left and a human brain, right. The small box beneath the human brain is the actual size of a cerebral organoid. Image credits: Lancaster et al. (2013) for the organoid, and http://en.wikipedia.org/wiki/File:Gray728.svg for the human brain. A skeptic might ask the question: Why go to all the trouble of trying to grow a brain in a dish? The short answer is that there is only so much that can be learned with modern technology from human and animal neuroscience studies. The techniques currently available for studying the human brain (e.g. fMRI, EEG, TMS) yield only a relatively low-resolution picture of brain activity. They also do very little in determining to what extent nature (your DNA) or nurture (your upbringing) are responsible for the making your brain the way it is now. There are a handful of ways to investigate the interaction of nature and nurture in human development, and perhaps the most well-known are studies of identical twins separated at birth (same DNA, different upbringing)2. While neuroscientists have learned a great deal from twin studies they are by their nature poorly controlled and have a low sample size, making it difficult to draw any specific conclusions. For these reasons, many neuroscientists utilize animal models to study the brain. This has allowed the use of more invasive techniques that have led to substantial discoveries about how the brain develops and operates at a cellular and molecular level. 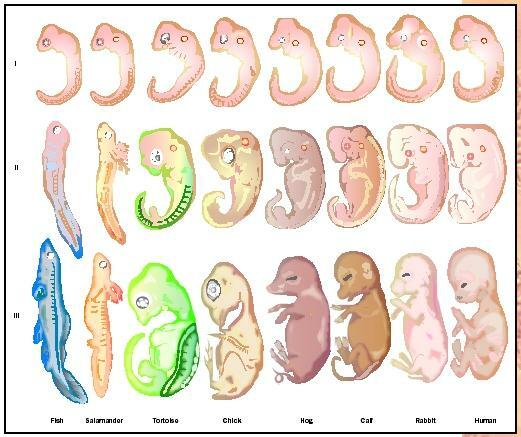 Remarkably, stages of development are virtually identical among vertebrates. As a case in point, many of the seminal studies of animal development were actually done in frogs! However, in the later stages of brain development the similarity between humans and other animals begins to break down. The complexity of our brains and the process of their development is what distinguishes us, perhaps most of all, from other animals. Therefore we can only learn so much from studying brain development in other animals. Cerebral organoids can help bridge the gap between animal models and noninvasive human techniques, and offer the potential to better understand human brain development. Lancaster et al. (2013) is by no means the first group to report growing neural tissue in the laboratory. Recently a handful of laboratories have had success growing neural tissues3-5, but the novelty of the research of Lancaster et al. is that their cerebral organoids are three-dimensional and contain several characteristic neural cell types. Every organoid they grew had regions that could be identified as dorsal cerebral cortex (the top of your brain), most had choroid plexus (the area that produces cerebrospinal fluid), many displayed ventral forebrain-like neurons (the brain region near your eyes) and a few organoids even produced tissue that was strikingly similar to retina1. Don’t worry, this doesn’t mean the organoids could see. Far from it: The ability to receive visual information depends on areas of the brain being connected in a very particular way. The ability to perceive that information is a far more complicated process that is not well understood, which is why an entire subfield of neuroscience is devoted to the visual system. Even though the cerebral organoids were not particularly well organized, their ability to grow and spontaneously form these characteristic areas is a testament to the amazing self-organizational ability of the brain. However, this on its own should not be too surprising. Human brains are growing by themselves all the time, they just tend to be doing so inside human heads. What is impressive about these findings is that the tissue developed distinct neural cell types while in an environment very different from a human head. Normally a brain develops in a very particular way, in parallel with the blood vessels that supply it with nutrients and a plethora of chemical signals that guide neurons to connect to the appropriate areas, setting up the basic wiring of the brain. Studying the development of these tiny organoids has already yielded insight into microcephaly, a neurodevelopmental disorder causing a reduction in brain size. The researchers responsible for the study believe that replicating a more natural (i.e. head-like) environment could facilitate the growth of a larger cerebral organoid. They hope that larger, more complex cerebral organoids would allow the study of more complex developmental disorders like autism, which is thought to in part be due to errors in the early wiring of the brain. Accepting for the moment that we need to grow bigger cerebral organoids in order to study more complex developmental disorders, the question remains: How much bigger do they need to get? A few centimeters? A couple inches? Or even full size? More importantly, how big is too big? Most neuroscientists believe that the mind is an emergent property of the vast interconnections of the brain. Following that idea, if a full human brain were to be grown, it could be considered to be a person, rendering any invasive experiments or even its very creation unethical. But can a brain think if it has nothing to think about? In my experience, thinking is based entirely on past experiences combined with current sensory input. Deprived of memory and senses, could even a large cerebral organoid think? Whether or not they would be thinking, the brains would almost certainly display some inherent brain activity; even in their 4mm cerebral organoid, the researchers observed spontaneous neural activity. Could we even tell whether a cerebral organoid of any size was conscious? We have trouble agreeing whether different animal species are “conscious”, and part of the problem is that we do not even have a good definition of what consciousness is and what it looks like. Even the brains of animals most scientists would not consider conscious, such as fruit flies (which by the way are much smaller than the cerebral organoids), are enormously complex and must be wired in a very precise way to be in any way functional. Regardless of your philosophical speculation on the topic, it is probably safe to say that the current cerebral organoids are not anywhere close to being conscious. Therefore, unless larger and much more structured cerebral organoids are grown, we probably don’t have to worry about their ethicality. Speculations about larger cerebral organoids aside, the ones that currently exist have already provided insight into one developmental disorder in particular: microcephaly. 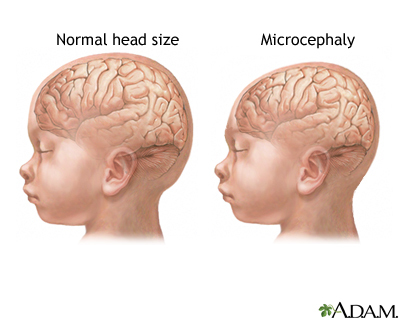 Microcephaly is a neurodevelopmental disorder in which brain size is dramatically reduced. In individuals with the disease, several mutant genes have been identified, all of which are responsible for a particular step of cell division. Attempts to study microcephaly in mice have had limited success6-9, purportedly due to the differential importance of these genes for brain development in mice and humans: The mutated genes responsible for microcephaly in humans do not reduce brain size nearly as much in mice. For this reason, Lancaster et al. decided to use cerebral organoids to study microcephaly. They first took skin cells from both normal individuals and those with microcephaly. Next they applied a chemical cocktail that instructs the skin cells to turn into stem cells, which then have the potential to turn into any type of cell. Then with another set of chemicals, they instructed the stem cells to turn into a specific type of tissue, neuroectoderm, which produces all types of neural tissue, including neuroprogenitors, the cells that divide to produce neurons. In contrast to some previous studies, Lancaster et al. did not apply any further chemical instructions to the tissue. Instead, they focused on improving the growth environment and allowing chemical signals given off from the neuroectoderm cells themselves to influence their own development. To further encourage a more naturalistic environment, they embedded the neuroectoderm tissue in a gel that provided a three-dimensional scaffold in which to grow. Finally, they placed the tissue in a spinning bioreactor to provide a steady flow and enhance the absorption of nutrients. Over several weeks, the researchers found that in cerebral organoids derived from microcephaly tissue, neuroprogenitors divided prematurely, which in a normal brain would disrupt the delicately-timed balance required for proper brain development1. While this finding is unfortunately unlikely to help people living with the disease, it is a significant step toward understanding how microcephaly develops, and demonstrates the power of using cerebral organoids as a disease model. Furthermore, the ability to grow cerebral organoids from a patient’s own cells is a very promising technique for future studies of other neurodevelopmental disorders. For now, cerebral organoids appear promising as a model for studying neurodevelopmental disorders that occur early in human brain development. More complex disorders such as autism and schizophrenia are probably a long way off from being studied in a dish. On the other hand, maybe it is closer than we think: Scientists are hard at work trying to figure out how to grow larger, more complex organoids. However, they will need to be cautious as these organoids grow larger and more brain-like. Bigger may not necessarily be better. 1) Lancaster, M.A. et al. (2013) Cerebral organoids model human brain development and microcephaly. Nature 501, 373-379. 2) Boomsma, D. et al. (2002) Classical twin studies and beyond. Nat. Rev. Gen. 3, 872-882. 3) Eiraku, M. & Sasai, Y. (2012) Self-formation of layered neural structures in three-dimensional culture of ES cells. Curr. Opin.Neurobiol. 22, 768-777. 4) Danjo,T. et al. (2011) Subregional specification of embryonic stem cell-derived ventral telencephalic tissues by timed and combinatory treatment with extrinsic signals. J. of Neurosci. 31, 1919-1933. 5) Mariani, J. et al. (2012) Modeling human cortical development in vitro using induced pluripotent stem cells. Proc. Natl. Acad. Sci. USA 109, 12770-12775. 6) Barrera, J. A. et al. (2010) CDK5RAP2 regulates centriole engagement and cohesion in mice. Dev. Cell 18, 913–926. 7) Lizarraga, S. B. et al. (2010) Cdk5rap2 regulates centrosome function and chromosome segregation in neuronal progenitors. Development 137, 1907–1917. 8) Pulvers, J. N. et al. (2010) Mutations inmouse Aspm(abnormal spindle-like microcephaly associated) cause not only microcephaly but also major defects in the germline. Proc. Natl Acad. Sci. USA 107, 16595–16600. 9) Gruber, R. et al. (2011) MCPH1 regulates the neuroprogenitor divisionmode by coupling the centrosomalcycle withmitotic entry throughtheChk1-Cdc25pathway. Nature Cell Biol. 13, 1325–1334.